The former head of the Federal Housing Finance Agency  called for a radical rethink of the U.S. housing system that could spell the conversion of the GSEs to lender-owned institutions. “The government life support given to [the GSEs] at the height of the financial crisis was meant to be temporary, followed by legislation replacing the toxic aspects of their activities and reforming our market structure,” the report states. But a long-term replacement for that “temporary” system has yet to be installed, mostly because of political rancor, and a return to the way it used to be would just set up Congress to have to bail out the GSEs should another financial disaster hit. “We must also reduce the likelihood that financial institutions will need emergency congressional action in the future,” the authors wrote. Moreover, until Congress acts, “the FHFA is stuck in its role of regulator and conservator,” they wrote. Some aspects of the housing system should be saved, according to the authors. Maintaining a liquid mortgage-back securities (MBS) market, with its innovative to-be-announced (TBA) market, which allows lenders to lock in a future mortgage price, is one thing the authors want to keep. Maintaining access to secondary mortgage markets and allowing primary markets to compete with them are others. 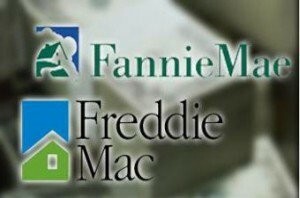 What needs to change, according to the plan, is that GSEs need to be set up so they won’t need to be bailed out again, mainly by taking them out of that limbo of conservatorship and letting lender-owned institutions manage Fannie and Freddie, rather than the federal government.